My kids (3rd and 5th grade) thought it was very odd and had trouble following it. I think they got bored with it half way through. 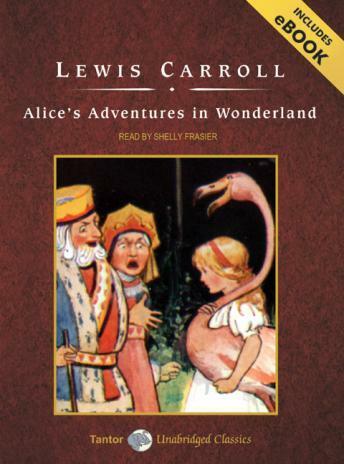 I have always wanted to read Alice's Adventures in Wonderland. Choosing to listen to it was a great choice. I very much enjoyed this audio book because it is a classic and I think that it is allegorical in part. This is a beautiful piece of absolute nonsense. It captured my attention and distracted me from my commute. I recommend it for anyone who wants to briefly revisit their childhood - when a little bit of nonsense was never frowned upon. Lewis Carroll must have been on some serious hallucinogenics... This is definitely not Disney's cute re-make. The plays on words are fun, but the characters and antics are nuts! I got tired of the silliness and found myself wanting to fast-forward through many parts.